The Ontario Produce Marketing Association is a non-profit association responsible for facilitating trade and promoting the consumption of fresh fruits and vegetables. The OPMA is funded by its members, comprised of companies working within the produce industry such as growers, wholesalers, shippers, and retailers. Each week on producemadesimple.ca, we’ll highlight a different fruit or vegetable and share a tasty recipe, as well as provide great info on how-to select, store and prepare. Working with the experts who grow and sell produce, we have access to accurate and up-to-date information. There is something new almost everyday so visit us often! 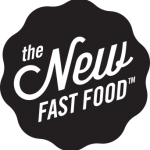 The goal of the “New Fast Food” poster program is to promote the consumption of fresh fruits and vegetables in the hopes of fostering a healthier lifestyle for students. We would like children of all age groups to consider that ‘fast food’ can be a healthier choice when selecting their preferred snack. What could be faster than an apple? Join us every Friday on our social channels for a “new fast food” recipe that is family friendly and easy to prepare! The school poster initiative is managed in partnership with Student Nutrition Ontario.